Python is important package that comes installed on Linux systems. Corrupting the pre-installed version makes many of the packages non-usable. I could not yum after the pre-installed version of Python was corrupt. 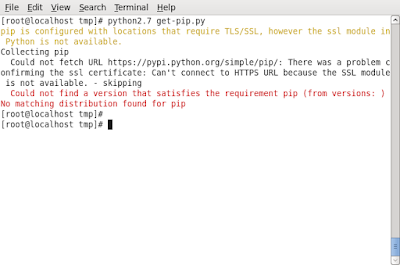 Here is how you can install a version of Python on Linux operating system, keeping the pre-installed one safe. Here, we use CentOS 6.4 version, which is a pretty old release. 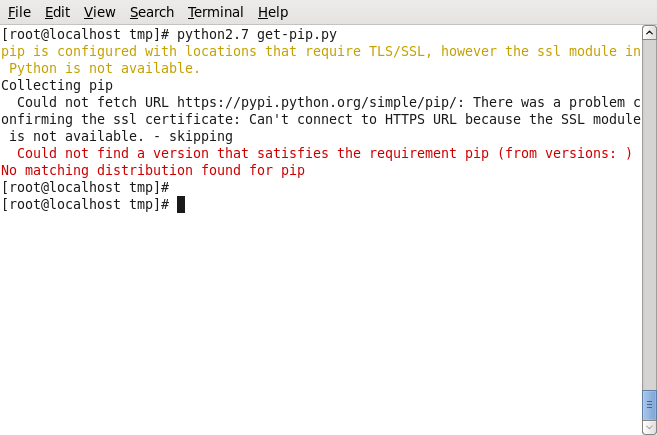 There was a problem confirming the ssl certificate: Can't connect to HTTPS URL because the SSL module is not available. 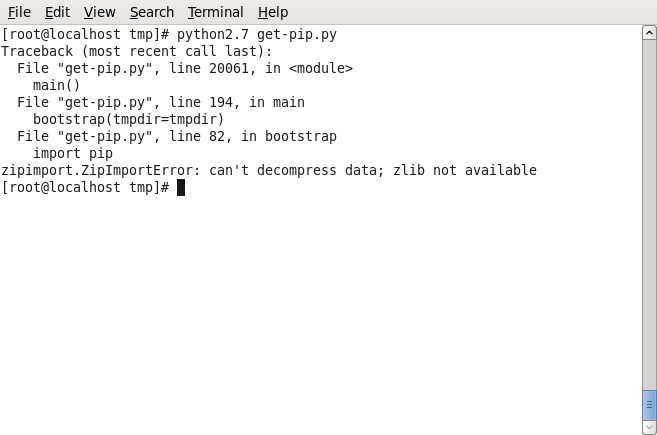 You may use python --version command on the terminal to find the current version. 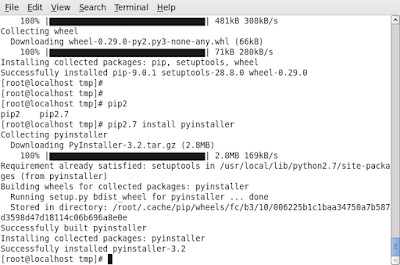 You may download a version you would need to install from Python Download. By default, Python comes as tarball for Linux. Once you have the tarball downloaded, copy it to a location where we extract and do the installation. Here, I copied the 2.7.12 version to /tmp. Use the version which is available for your platform and remember to use the commands accordingly. Extract tarball and change directory to the extracted folder. Run configure with option to export shared libraries. This is necessary if you would need to use pyinstaller module. 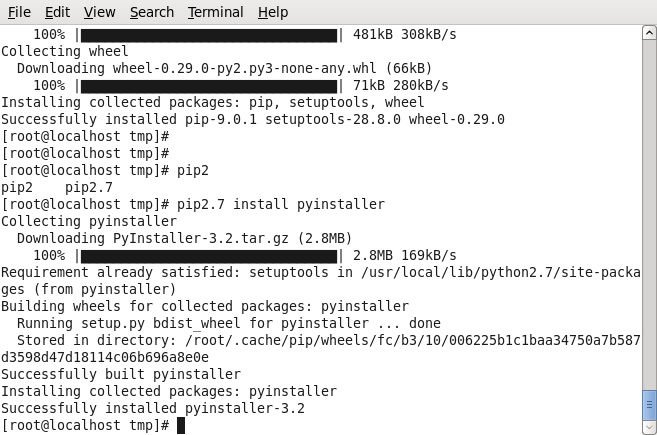 Running get-pip.py is a better way to install pip. 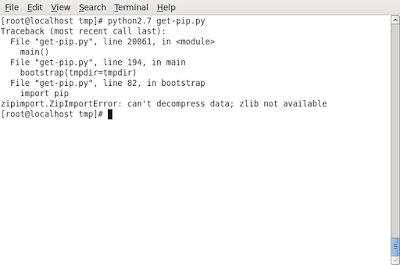 get-pip.py file is available at pip module listing.